Heads turned as soon as Andrew Hummell entered the room. With a huge smile on his face, Andrew outstretched his arms and embraced a few close friends from the crowd of players and coaches, who were gathered to watch what was undoubtedly a day he’ll never forget. On Monday, Andrew was officially signed as a member of the Lafayette men’s soccer team in Kirby Sports Center. Although you couldn’t tell from his ear-to-ear smile, it has been a long road for Andrew and his family. After he was diagnosed with Down syndrome at birth, Andrew remained healthy until Dec. 2017 when he was diagnosed with leukemia. Treatment started immediately, and he went through intense chemotherapy for months at a time while in and out of various hospitals. The traveling and frequently changing healthcare were challenges for his family as they navigated their son’s path to recovery. “It was tough being in the hospital for two or three weeks constantly and sleeping there,” said Andrew’s mother, Geoconda Hummell. Fortunately, Andrew has been in remission since July and is getting low doses of chemotherapy in what doctors call the “maintenance part of treatment,” according to his parents. They anticipate that the medical care will continue for about two more years. Upon Andrew’s initial diagnosis, the Hummell family heard about Team Impact through the Pediatric Cancer Foundation of the Lehigh Valley, a nonprofit organization designed to support families battling pediatric cancer, according to their official website. 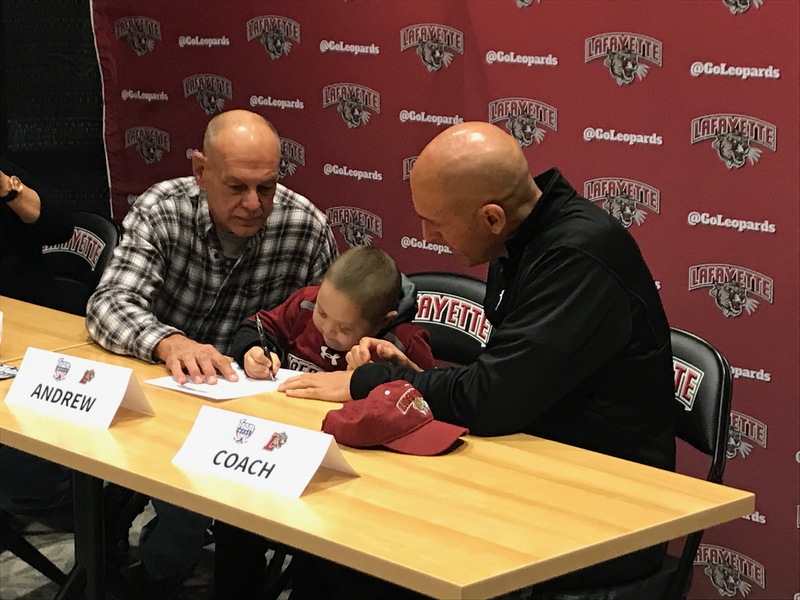 They were then connected with men’s soccer head coach Dennis Bohn and the men’s soccer team through Team Impact, another nonprofit organization that connects children with serious and chronic illnesses with local college athletic teams, according to their official website. Andrew and his family met the team for the first time in late April during a spring soccer game, said junior defender Christian Williams. The family then toured Lafayette’s campus with a few of the players, and even competed in a dance battle, Williams said, which Andrew won. Williams reflected on how meaningful their time with Andrew has been, detailing how “incredibly lucky” the team is to have met him. The Hummells have traveled to both home and away games, sometimes driving three or four hours just to watch the team play. From simply watching Andrew interact with the players, one might think that it was a gathering of friends, rather than a group of college students spending time with a 10-year-old boy. Andrew’s affection for the soccer team was not lost on his parents. Andrew’s mother, fighting back tears, described how the whole experience has been “very emotional” for the family. While she spoke about her son’s time with the team, Andrew ran off to shoot baskets with a few of the teams’ seniors. The enthusiasm in the room was palpable when Andrew finished signing his name, making him an official member of the soccer program. He then went around the entire room giving out enthusiastic high fives amidst cheers and whistles of support. The positivity emanating from the young signee was unmistakable. Decked out in a Lafayette pullover and a brand new maroon hat, Andrew was all smiles as he posed for a few photos with his parents and Coach Bohn. His upbeat attitude came as no surprise to his parents. “Spending time with the team has been a nice out, something positive and fun to help get through those times when it’s not fun,” he added. While the team has been able to positively impact the Hummell family, Andrew’s influence on the players has been equally meaningful. “[Interacting with Andrew] really helps us realize how grateful we should be for all the opportunities we have,” said senior defender Joe DeStefano. Hummell’s fight against cancer and all of the associated hardships was a point of “inspiration” for the team, said Bohn. In addition to providing perspective, the strength of the 10-year-old, and his parents, is remarkable. Even though the team has finished their season, Andrew and the players want to continue to spend time together during the offseason and into the spring. Although there won’t be games to attend, practices and the spring banquet are further opportunities to reconnect, something which the team “strives to continue to do,” according to junior midfielder Adam Bramson. 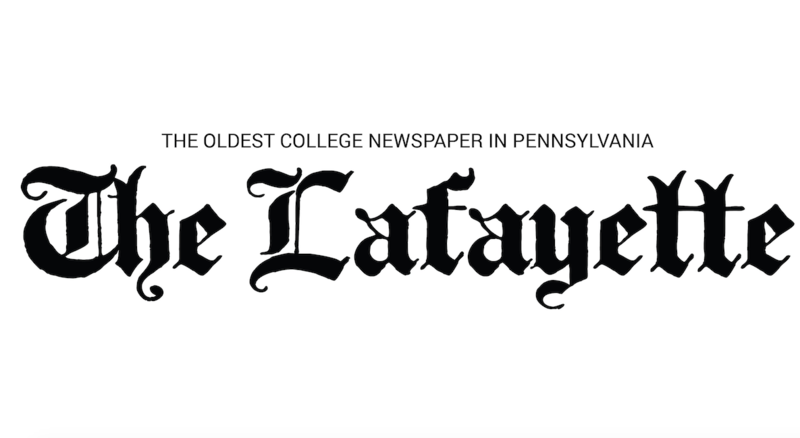 “We hope to make a difference not only on the field, but also off the field,” Bramson said. Alan and Geoconda Hummell certainly hope that the relationship between the team and their family continues, as well. “Hopefully throughout the offseason we at least get to see [the team] occasionally,” Alan said. “We can’t wait until the next season starts and we can go see them play,” Geoconda added.